A vibrant and versatile musician, Lauren Baker has made her impact on the classical and contemporary music scenes. As a graduate of Berklee College of Music, Lauren is well versed in the fast-paced and ever-changing performing and recording arts industry. Finding a place for the harp in today’s modern society has been a determined goal for Lauren. She has recorded with Grammy Award-winning producer Richard Evans and had the honor of working under the direction of Academy Award-winning composer Howard Shore while performing his film score for Naked Lunch. She has shared the stage with recording artists such as Steve Winwood and Earth, Wind, and Fire. With experience beyond her years, Lauren has already gained notoriety as a soloist and as a part of countless ensembles and orchestras. She has performed in such varied venues as the Celtic Festival in Grant Park, Chicago to the Esterházy Palace in Eisenstadt, Austria, the hall best known for its residency of composer Joseph Haydn. Additionally, she has appeared on several of the Boston area stages, including the Berklee Performance Center and Boston University’s Agganis Arena. Lauren eagerly explores every opportunity to showcase the harp in any genre. As a student of Felice Pomeranz, she learned a rigorous repertoire from the standards of Miles Davis to the intense chromaticism of Debussy and Salzedo. Whether it be a classical recital at the Boston Conservatory or playing with a jazz trio for an intimate performance, her musicianship knows no bounds. 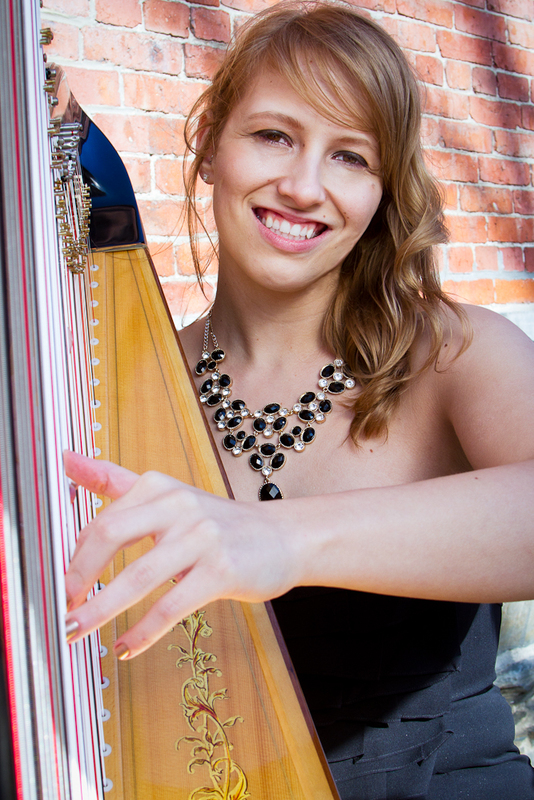 As a radiant and cultured harpist, Lauren is a wonderful addition to any ensemble or event. Her extensive knowledge of all types of music in any setting proves her to be a standout in the New England area. She currently resides in the Boston area and regularly performs with regional orchestras, churches, theater groups, and performing arts societies.